I am starting another weekly post called: Crafting Days! I have been crafting a lot and I wanted to start to dedicate a portion of my blog to just that. Working on different projects allows me to take a creative break from doing the same thing over and over again. I have been working a lot of paper crafts and this weeks post is going to feature some more handmade cards! 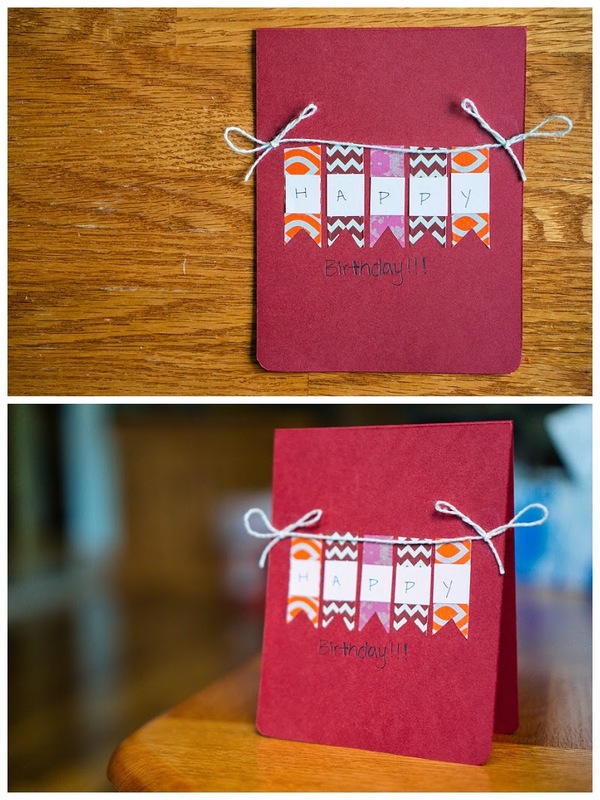 I created these two cards for birthdays last weekend. A lot of my inspiration is found on pinterest, it is so useful but it is also trouble at the same time. As I start pinning I start to find new tools that I don't have or new stamps that I *need*. Card #1 was all card stock paper materials. 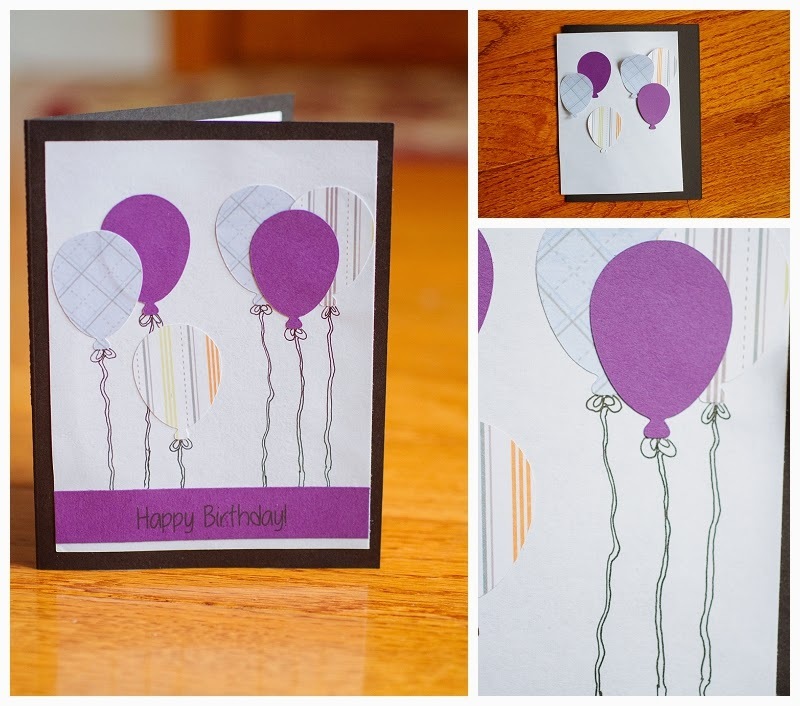 I used my Silhouette Cameo to cut the balloons and then hand drew the strings hanging down. I had a lot of fun making this card and was glad that the recipient liked it as well! Card #2 is made out of card stock with flags that were cut from washi/decorative tape. I then found a random piece of twine in the kitchen and glued it on top of the flags to give it a 3D effect. This was inspired by a card I had found on pinterest. I don't have any pictures of this card in progress since I was not home when I made this card.